Disney Holiday Parade 2012– $100 Giveaway, photo contest, and toy drive! 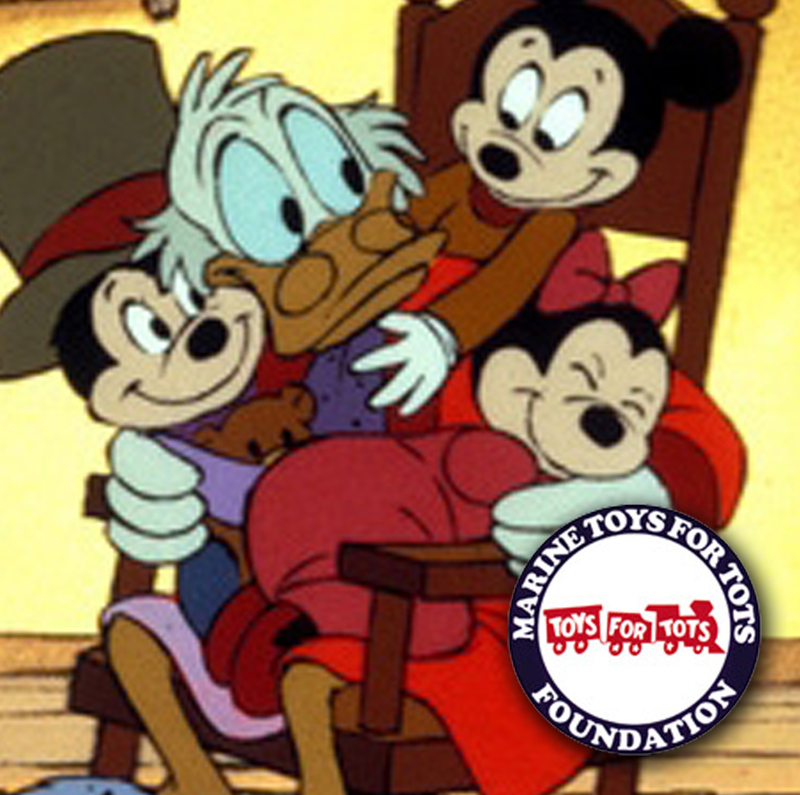 It’s almost Christmas time and we want to help bring smiles to children and make their day just amazing, we’ve teamed up with Scrooge McDuck Charity Fund on FirstGiving.org to help donate to Marine Toys for Tots Foundation, and at the same time provide a fun giveaway for you in our efforts to raise funds for toys for the kids. We are thrilled to create the first annual Disney Holiday Parade 2012 with some amazing bloggers, travel agents, Disney-themed store owners, and Disney fans, where you can submit the “Best Holiday Decor” photo and parade them on Disney Seasonal Celebrations group at and get the most “Likes” in order to win. There is also more ways to win by using the Rafflecopter bonus. Oh and DID YOU KNOW? You can only submit 1(one) photo, if there are multiple photos submitted they will be automatically deleted. Special Thanks to MyDisneyCloud.com and Disney Fan Addicts! We are not affiliated with the Walt Disney Company but is created by wonderful people with the Holiday spirit that want to help charity organizations during the Holiday season. Winners will be announced Dec. 25, 2012. Many thanks for your support — and don’t forget to forward this to anyone who you think might want to donate and have win prizes too! This entry was posted in Giveaways and tagged charity, christmas, contest, free, fund, fundraiser, giveaway, helping, holiday, marine, mcduck, photo, scrooge, tots, toys by JNYFAV. Bookmark the permalink. oddity. Father arrived in Melbourne a very sick man, and the man immediately underwent treatment by specialists for his throat trouble. two miles distant, and found about fourteen Chinamen camped there. Instant availability is precisely what is triggering ebook piracy too.